Mark has sold two homes for my family and I during the last 5 years as well as helping me to purchase 2 lots. Mark was able to sell both of my homes during incredibly difficult economic times, when many other agents were unable or unwilling to put forth the effort needed to close the deal. 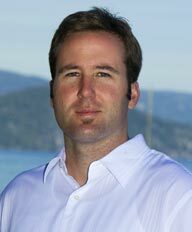 Mark’s background in construction and overall experience with building practices specific to the Lake Tahoe area give him an exceptional knowledge base to work from. Mark’s professionalism and courtesy ensure all parties involved (Buyers and Sellers) receive the highest level of service throughout the purchase. Mark takes the necessary time to assist his clients with making informed decisions, which are supported by market analysis and comparisons taken from 1 month to 3 years prior. Mark’s high integrity and strong work ethic quickly convinced me that he was not only capable, but more informed and prepared than other agents. Mark has been a true pleasure to work with during the normally stressful process of purchasing or selling real estate. This coupled with Mark’s passion for this community continue to make him my first choice for all things real estate.